Staking its claim to the purest natural beauty in Latin America, Bocas Del Toro will not disappoint the summer traveler with its breathtaking views and crystalline waters. Consisting almost entirely of water taxis, travel through dolphin filled waters on your way to dockside restaurants and remote beaches. If you had to dream up the perfect Island, it would be hard to imagine one that looks better than Bora Bora. The vibrant combination of sapphire, indigo, and turquoise waters makes it hard not to stare at the elegant beauty of the ocean for several minutes before diving in. However, when you do decide to hop in, the surrounding circular coral reefs make it ideal for snorkeling, diving, and tours around the lagoon. Vienna isn’t the first city that comes to mind, but one of the music capitols of the world has plenty to do for the summer traveler. The city built to explore on foot has brilliant architectural designs throughout and adventurous daytime activities to keep you occupied before hitting the lively night scene. After several years of slow tourism during Sri Lanka’s civil unrest, the country has quickly begun its climb back to the top of summer itineraries. One of the few places in the world that offers a rare breed of animals along with dazzlingly white beaches, it’s a safari lovers dream that’s hard to replicate anywhere else. After getting over the awe of the world’s tallest building on the island shaped like a palm tree, the “adult playground” is a perfect fit for the lively traveler. If the indoor ski slope or giant aquarium aren’t enough to keep you occupied, Dubai serves as one of the retail capitols of the world. After a fun-filled day on the town, experience some of the extravagant nightlife in the fancy dance temples and exotic beach bars. 2017 is a great year to cross Rio off your bucket list with the many long-range aircraft options available from Magellan Jets. 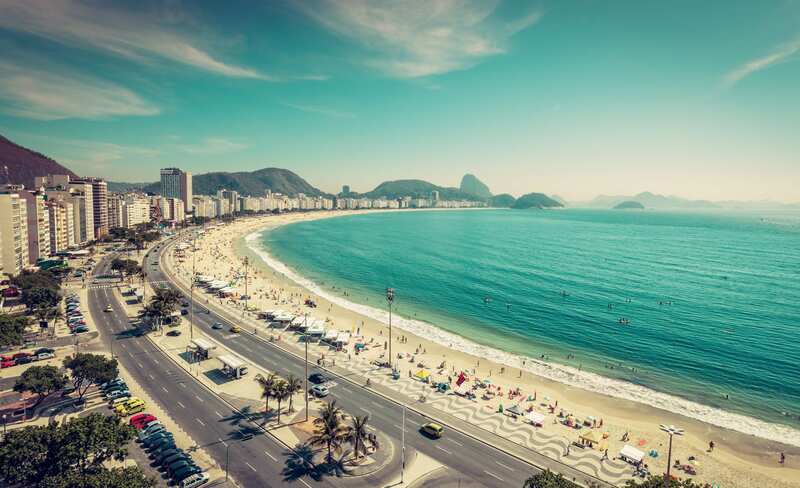 Nicknamed Cidade Maravilhosa (Marvelous City), many stars jet in for the weekend to enjoy the captivating beaches, tropical landscapes, and all the music genres you can imagine. The endless entertainment never stops with football, volleyball, and surfing opportunities readily available all over the island. Although many know Ibiza as the party capitol of the world (and it very well might be), there’s much more to the sophisticated island than a happening nightlife. The mesmerizing views from the endless beaches will keep a peaceful and relaxed feel during the day until the partygoers come out at sunset. Unlike most summer hotspots, the beauty of Nepal lies deep in the Himalayans instead of along the coastline. Ideal for the adventure-driven traveler, the breathtaking views from atop the many mountains throughout the Himalayans make the challenging climb to the top worth every last step. Along with a wide variety of adrenaline filled activities highlighted by rafting over the Nepali river and bungee jumping into a bottomless gorge, Nepal may be the best workout you get all year. A clash of stunningly clear water alongside red sand beaches that may be closer to gold on some parts offers over 300 days of sun year round. A nice change of pace for the beach goer who also has a taste for history will be submerged in over 7,000 years of unique history. Prehistoric temples and stone buildings are some of the many attractions all over the island. Home to some of the longest and most dazzling beaches in the Mediterranean, the entire island of Crete looks like something out of a magazine. However, the cuisine may be the most attractive feature of this remote island. Offering unique hiking trails with access to local food along the way, there’s not much you can’t do in Crete. Magellan Jets knows how the excitement leading up to your summer vacations can quickly be flattened by a bad travel experience. Let us take the hassle out of your trip and explore our membership programs and charter flights today.